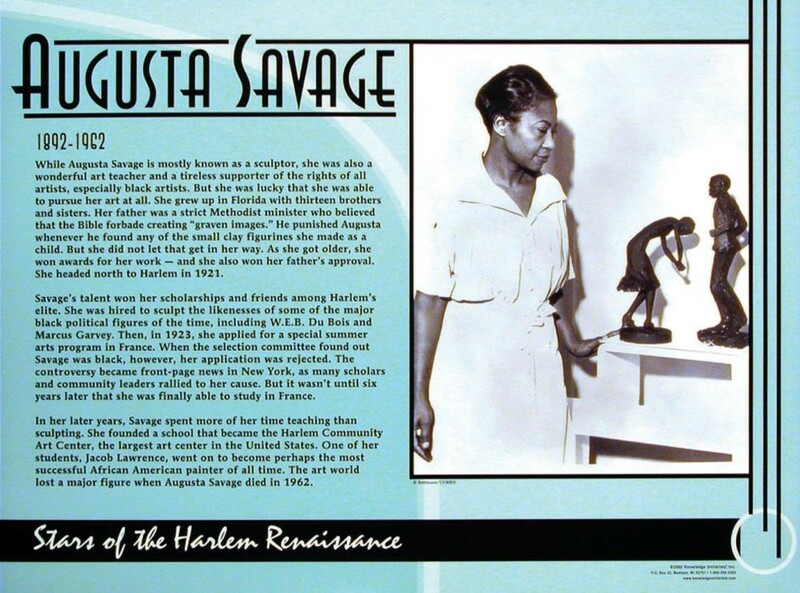 This educational poster features a large photo image and biographical text of the great African American woman artist Augusta Savage. 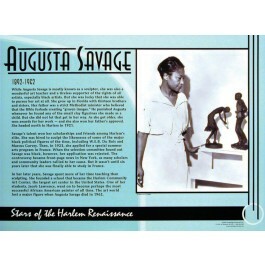 Raised in a strict religious home where here artwork was frowned upon, Augusta Savage landed in Harlem in 1921. There she made friends among Harlem's elite and was hired to sculpt some of the most famous black political figures of the time, including W.E. B.Du Bois. In her later years, Savage used her talent to teach others. One of her students was the great American painter Jacob Lawrence. This poster is a great way to introduce students to August Savage, a groundbreaking American woman artist.